Feel in need of a quick French fix? 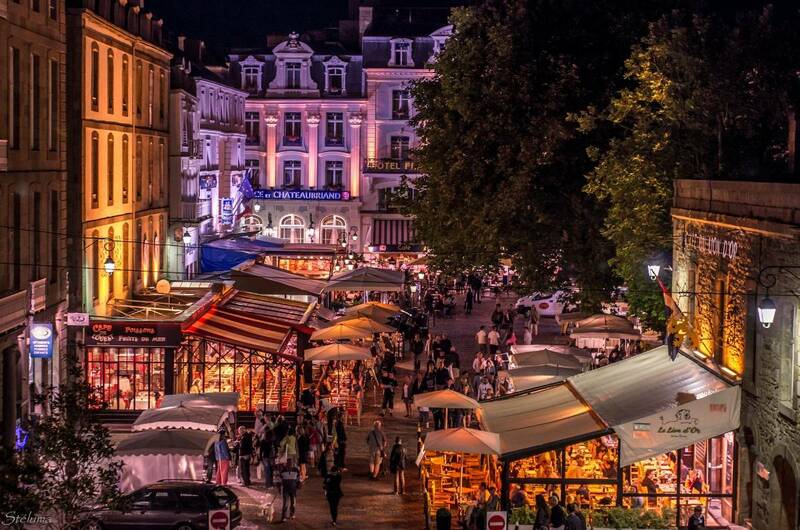 Take the Friday night ferry to Brittany and combine historic Saint-Malo with the chic seaside resort of Dinard. If you are in the UK, pack up early on Friday afternoon, head for the Brittany Ferries terminal in Portsmouth, and next morning, you can be starting your weekend with coffee and croissants in Saint-Malo. The perfect pick-me-up at any time of year. If you are in Paris, you can take a train and be there in 3 hours. If you do get that ferry, get your trip off to the best possible start with dinner on-board in the gastronomic restaurant – Brittany Ferries’ legendary buffet option includes a mouth-watering selection of cold starters and desserts, sandwiched around a delicious hot main course. Drop your bag in your cabin and head straight for the restaurant to secure a window seat if you want to enjoy the best view of the Royal Navy warships, HMS Victory and the lofty Spinnaker Tower as you leave harbour. When you get there, you’ll have a spectacular views of Saint-Malo’s walled city, almost entirely rebuilt in local granite after World War II. The maze of narrow streets is lined with cafes and restaurants, so pick up a map from the quayside tourist office and sit down over coffee and croissants to plan your weekend. Oldest bar in town is the Bar de l’Univers just inside the main city gate and decorated with nautical photos and memorabilia. Or try the Café du Coin, established in 1820 and now hung with an eclectic mix of dolls, puppets and other collectables. Saint-Malo is big on retail therapy, especially edible souvenirs. Drop in at Epices Roeillinger in Rue St Vincent for spices from around the world; at La Maison due Beurre on Rue de l’Orme near the covered market; and Maison Guella on Rue Porçon de la Barbinais, for speciality sweets including Les Patates de Saint-Malo – tiny marzipan ‘potatoes’. Head away from the bustle of the shopping area through the quiet cobbled streets and you soon come to the ramparts, first built in the Middle Ages. It takes around 40 minutes to do the complete circuit, but the views change hourly with the tides and there are plenty of photo opportunities and distractions en route. 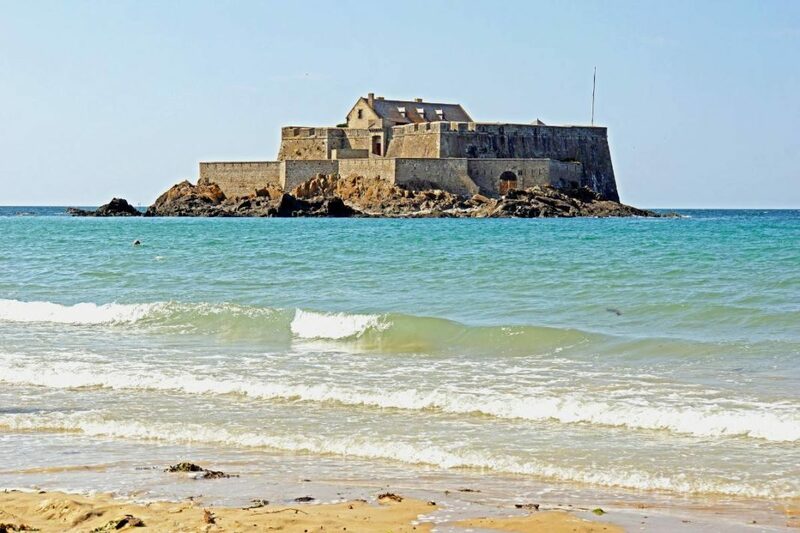 For a different perspective on the walled city, walk across at low tide to the Fort National, a 17th century defensive fortress built by Louis XIV’s great military architect Vauban on a small, rocky island. Saint-Malo has been home to fishermen, merchants and explorers across the centuries, including Jacques Cartier, who took possession of Canada in 1534. It’s also one of the French coastal towns most closely associated with the 17th century corsairs, sea captains licensed by the king to seize British ships in time of war. Visit one of the fine summer residences or malounières, built by wealthy ship owners in the countryside east of Saint-Malo to avoid the summer stench and overcrowding of the walled city. I enjoyed a guided tour of the Malounière de la Ville Bague in Saint-Coulomb, abandoned during the Revolution but now lovingly restored to its former glory. 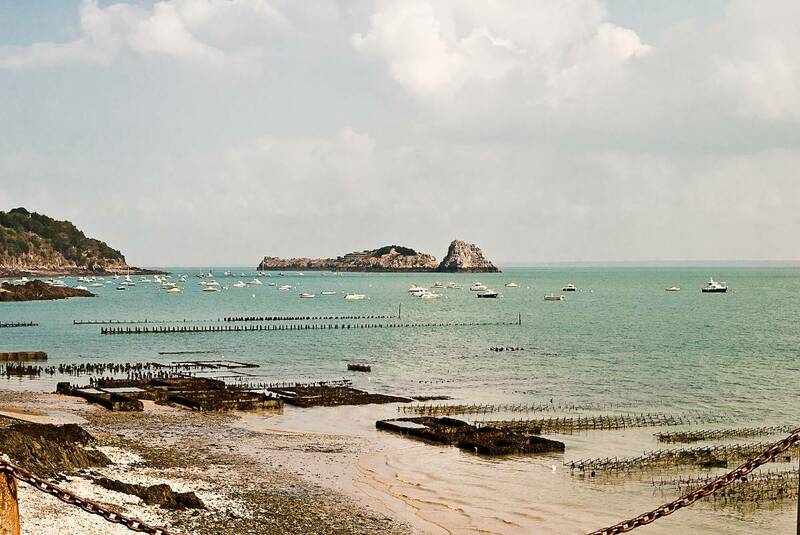 You can do as I did and rent a bike for the afternoon to enjoy the quiet coves of the Emerald Coast and visit the famous oyster beds at nearby Cancale. Buy a platter from the quayside vendors and savour them sitting on the sea wall for the ultimate in local produce – just a few hundred metres from oyster beds to plate, with distant views of Mont St Michel thrown in. Head the other way out of Saint-Malo and it’s an easy hop to the chic resort of Dinard across the mouth of the Rance estuary. Take your car or catch one of the regular ferry boats that leave from the marina at Saint-Malo. With its striped canvas beach huts and Belle Epoque villas, Dinard is a jolly, upbeat seaside town with inviting sandy bays that are separated by headlands dotted with desirable properties. 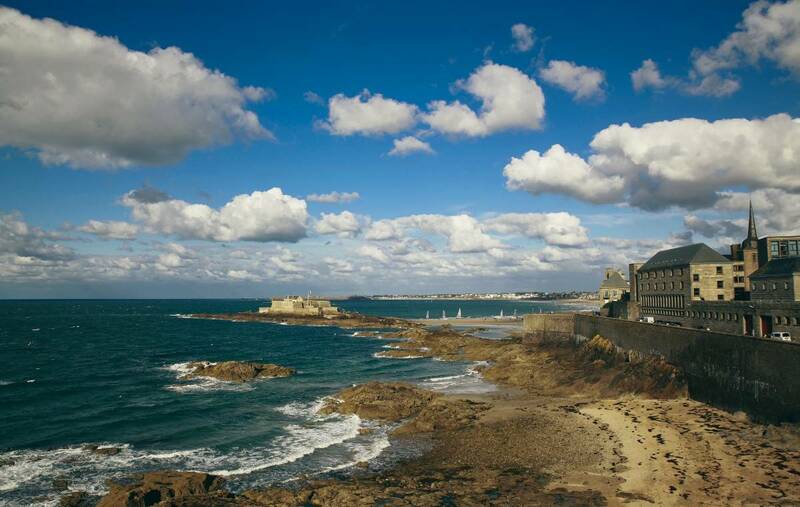 Take a dip in the sea, chill out at a café, or stroll the floral promenade walk to enjoy iconic views back to Saint-Malo. Gorgeous!